If you have an old NES console in the attic you might be able to create something similar to Waterloo Labs who have modded a NES to allow Mario to be controlled by the players eyes. Check out the demo video after the break. 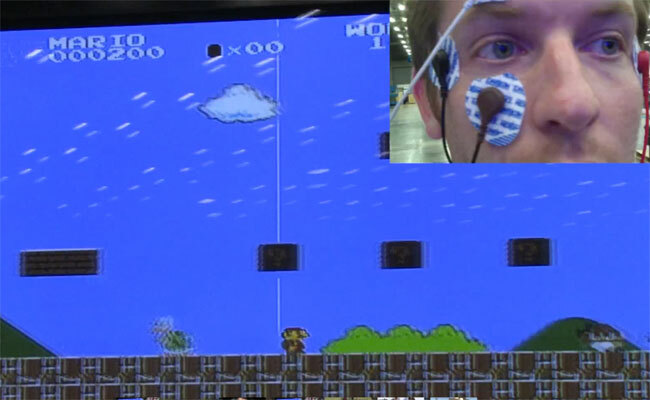 Electrodes have been placed around the eyes to track the movement of a players eyeballs, they were able to jury rig a Nintendo to accept eye movement as controller input. But as you can imagine it isn’t the easiest thing to do considering you need to keep your eyes on Mario to make sure he doesn’t fall foul of any nasties or falls.